Year of the Labbit: Tri Fever, It Never Stops! 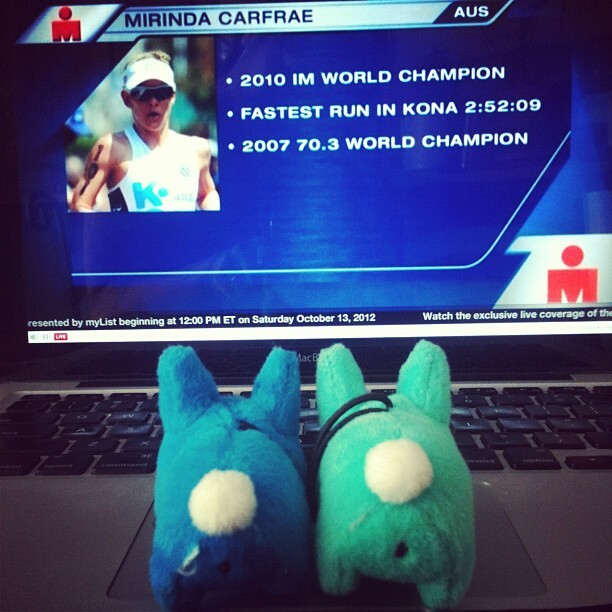 Doddy Blue and Masher McBuns cozy up in front of the laptop to watch the live stream of the Ironman World Championship in Kona, Hawaii. They think Rinny's got the cutest accent, and they drink chocolate milk for recovery, just like her! Best of luck in Kona, Rinny!